A perfect recipe if you're looking for a vegetarian option. 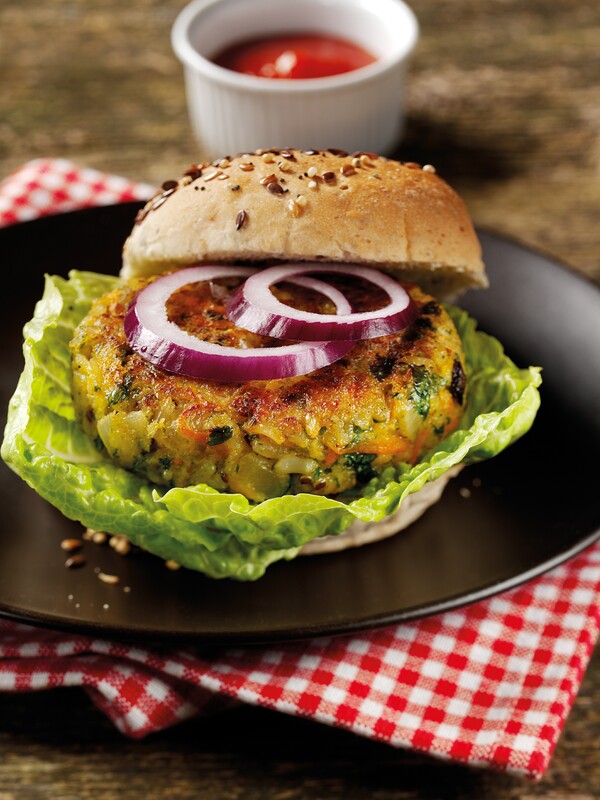 These veggie burgers are easy to make and really healthy. Ready in just 25 minutes try it today! Heat the tray rice and quinoa according to pack instructions then empty into a food mixer and whizz up along with the onion, cumin, herbs, carrot and egg white. Season well and mix again.